Access All Areas members have a great new font to download this week, courtesy of freelance graphic designer Mark Richardson. 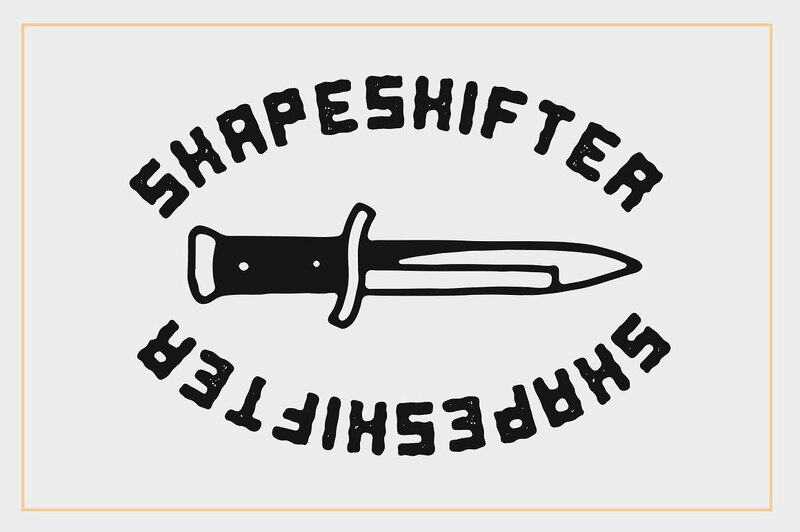 Shapeshifter is an all-caps, gritty, hand-drawn font with rippled edges and subtle textures. It comes with a complete set of characters and numbers, along with a collection of punctuation glyphs and symbols. Mark Richardson is a freelancer graphic design from Brisbane, Australia who specialises in hand lettering and custom typography. Check out his great collection of project work on Instagram, his range of custom typeface products on his Creative Market store, and his series of video tutorials on YouTube where his shares his knowledge with others. 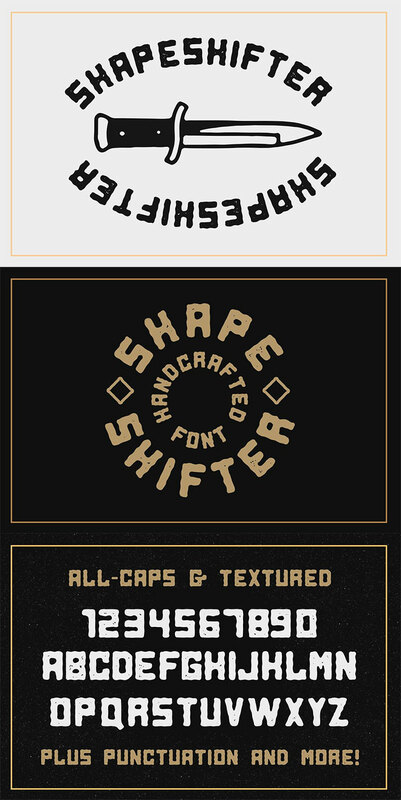 The Shapeshifter display font is the latest premium resource for Access All Areas members to download. 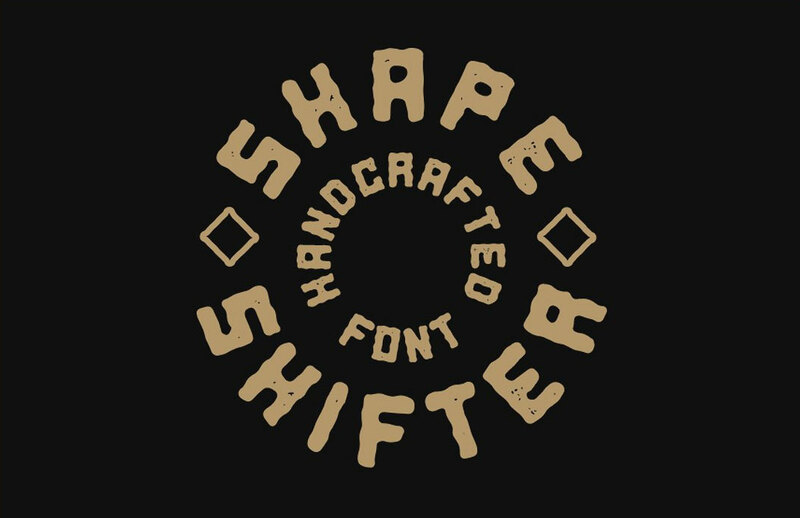 It has a blocky appearance with irregular outlines and subtle texturing to give it a hand-made look, making it great for use with vintage style designs that require a gritty font selection. This is NICE! I can sure use this! Thank you! Thanks to Mark for the font! Thank you for your comment Su!